A 2016 lawsuit pitting transparency advocates against California Coastal Commissioners concluded last month with a combined $57,100 in fines levied against five current and former commissioners—including Pismo Beach City Councilman Erik Howell—for their failure to adhere to rules for disclosing ex parte communications. In the June 12 ruling by a San Diego County Superior Court judge, Howell received a $3,500 fine for multiple "willful" violations of ex parte disclosure laws, namely his failing to report the meetings and their details within the required seven days after it took place. Commissioner Mark Vargas received a $13,600 fine, and former commissioners Steve Kinsey, Martha McClure, and Wendy Mitchell were hit with $30,300, $2,600, and $7,100 fines, respectively, for similar sets of violations. COMMISSIONERS FINED Erik Howell, Pismo Beach City Councilman and California Coastal Commissioner, was one of five current and former coastal commissioners to be fined by a San Diego judge for violating ex parte meeting disclosure laws. The commissioners, who were represented by the state Attorney General's Office, will pay their fines into the "violation remediation account of the Coastal Conservancy Fund." Ex parte communications are when a public official meets or speaks with an interested party in a decision coming before the agency—such as an applicant on a project seeking approval from the Coastal Commission. 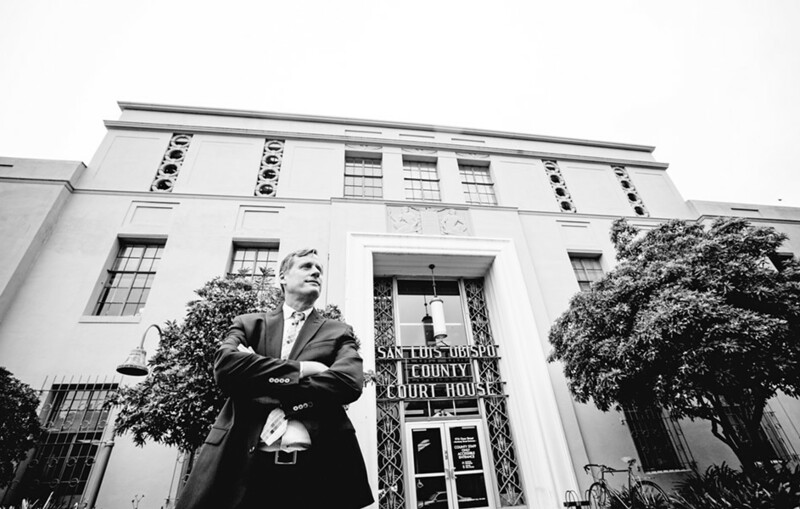 In the court decision, Howell, a commissioner since 2014, was found to have failed disclose in a timely manner meetings related to projects between 2014 and 2016 that included the installation of a retaining wall on the coast of Malibu, the construction of UC Santa Cruz facilities, and the abandonment of an oil field in Newport Beach. Howell did not return a New Times request for comment before press time. Kinsey, from Marin County, was charged with the "most serious" violation of the bunch—failing to report a meeting with a project applicant and then not recusing himself from a commission vote to waive a reapplication fee for the "high profile" project. Spotlight on Coastal Corruption, the group that formed to sue the coastal commissioners, initially asked the court to levy fines totaling millions of dollars—including $2.88 million against Howell—arguing they were appropriate for violations the prosecutors characterized as "crimes against democracy." Judge Timothy Taylor, though, disagreed with that characterization and the scale of those fines. "Teapot Dome was a crime against democracy. So were the Alien and Sedition Acts. So was rounding up Americans of Japanese descent in 1942," Taylor wrote in his decision. "What happened at the Coastal Commission between 2013 and 2016, while imperfect, was not one. ... 'Infractions against administrative law,' maybe, but not 'crimes against democracy.'" Taylor sided with Spotlight that the commissioners, "violated the ideal of openness and transparency" but added, "no coastline view corridor was lost; no seabird or fish habitat was sullied; no property owner's development rights were impinged." He scolded the commissioners for continuing to botch their disclosures even after they received a training on them in August 2014, arguing that "should have served as a reminder ... that their disclosures needed to be timely, robust, thorough, and technically compliant." Taylor also teed up a scathing analysis of the Coastal Commission's overall structure, opining that the "part-time, unpaid volunteer" commissioners are overwhelmed with their workload and lack adequate support and resources, which leaves commission staff with outsized decision-making power.